Rockingham Recyclers Scrap Metal Pinjarra. 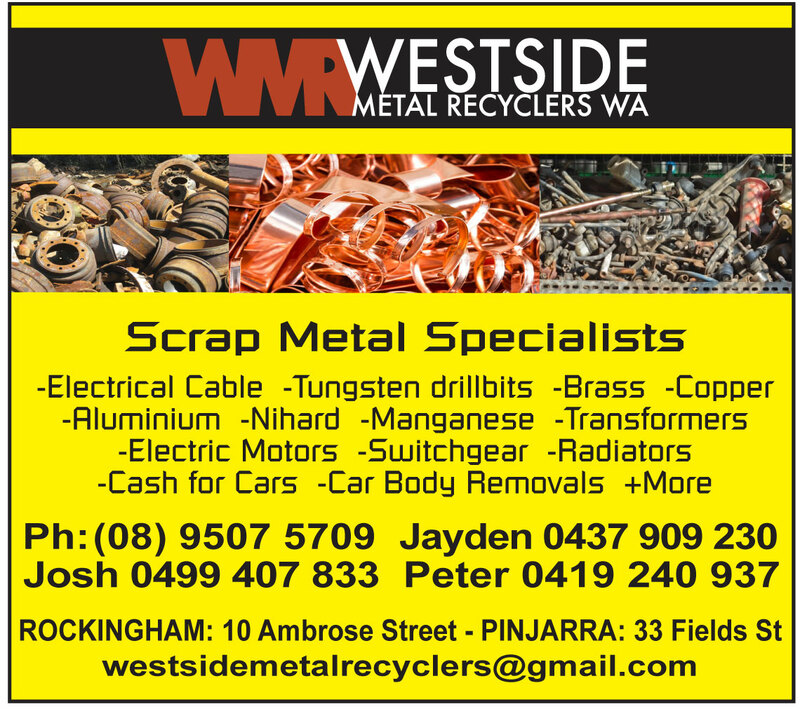 Rockingham Metal Recyclers Pinjarra. Rockingham New & Used Machinery Scrap Pinjarra. Electrical Cable, Tungsten Drillbits, Brass, Copper, Aluminium, Nihard, Manganese, Transformers, Electric Motors, Switchgear, Radiators, +more..
ROCKINGHAM RECYCLERS PINJARRA ELECTRICAL CABLE ROCKINGHAM COPPER PINJARRA ELECTRIC MOTORS ROCKINGHAM TRANSFORMERS PINJARRA CAR BODY REMOVALS ROCKINGHAM.